A low -at ready-made crust makes this delicious dessert quick and easy. This pie is so creamy no one will ever guess it's low fat and under 200 calories a slice. In a cup, mix gelatin and boiling water together, and stir until gelatin is dissolved. Set aside. In a separate bowl, lightly beat egg yolks and milk together. Pour in a saucepan, and add sugar and flour, and whisk thoroughly until sugar and flour dissolve. Cook over medium heat, stirring constantly, for 10 minutes, until mixture thickens and comes to a boil. Stir in vanilla and gelatin. Arrange banana slices on graham cracker crust and pour pudding over top. Cover and refrigerate until pudding has set, about 3 hours. 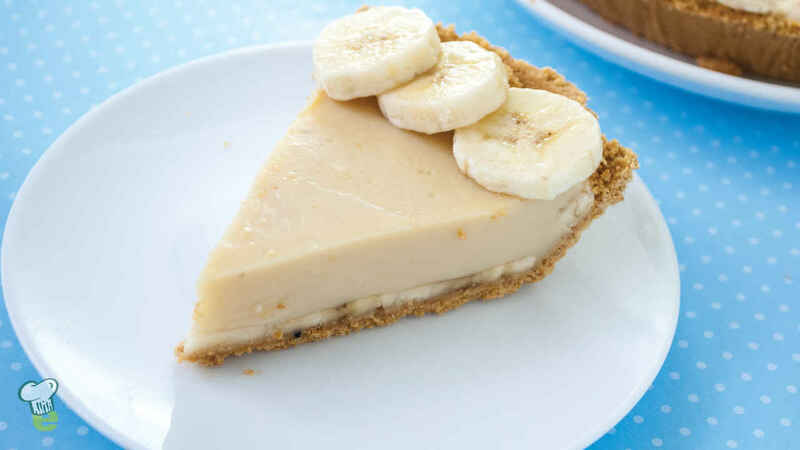 Tip: Arrange extra banana slices on top of the pie just before serving to avoid bananas browning.